In the art world, Jean-Michel Basquiat is legendary. He began his career at 17, when he was living on the streets in New York and began developing his artistic style through graffiti. His tag SAMO caught public attention and Basquiat had his first exhibition at the age of 20. During his short life – he died at 27 years old – he became a voice for justice during a period of social and political upheaval in America. Basquiat became an art celebrity and began collaborating with Andy Warhol. 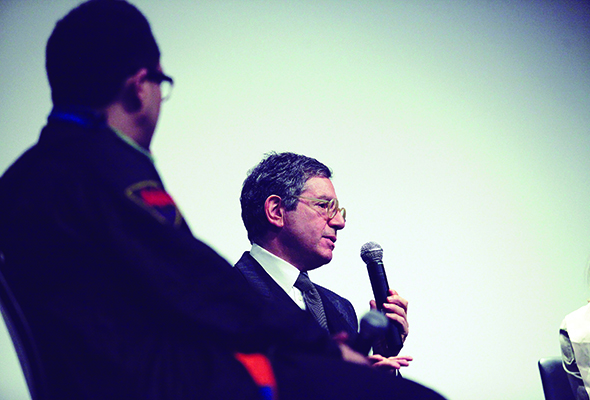 His powerful legacy continues to inspire contemporary culture and artistic activism. One of his most iconic paintings is currently on display at Louvre Abu Dhabi – courtesy of Guggenheim Abu Dhabi – and a handful of some of Basquiat’s close friends and collaborators will share their stories about the legend himself. Cabra, a painting made by Basquiat in 1981/1982 has recently been acquired by Guggenheim Abu Dhabi and makes its debut in the capital this month. Painted in bright red hues of crimson, Cabra is one of his iconic works and is inspired by Muhammad Ali’s victory over revered heavy-weight fighter Oscar Bonavena, also known as ‘The Bull’. This painting, will be exhibited in the UAE capital for the first time and marked by a two-day celebration of Basquiat and his legacy. As part of Guggenheim Abu Dhabi’s Talking Art Series, some of Basquiat’s close collaborators and friends will come together to discuss his ongoing influence. The panel includes a 20-minute version of the documentary Jean-Michel Basquiat: The Radiant Child (2010) an intimate portrait of the artist that charts his rise to fame and his tragic demise through a rare interview by friend and director Tamra Davis. Louvre Abu Dhabi, Saadiyat Island, April 17, 6.30pm. 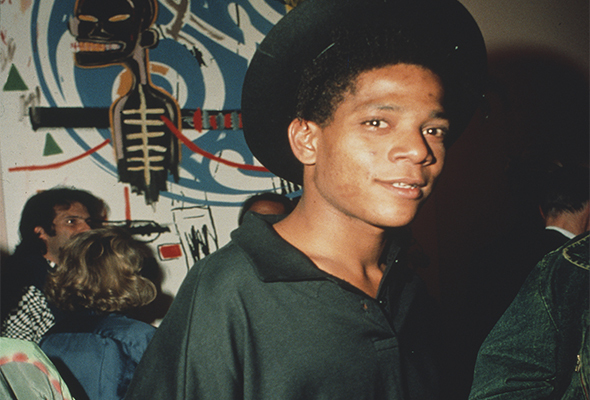 In April 1979, Jean-Michel Basquiat made his art world debut at the now infamous Canal Zone Party. He showed up with a shaved mohawk and participated in a live drawing session. To celebrate the 40th anniversary of this event, Guggenheim Abu Dhabi is hosting its own Canal Zone Party Remix on April 18, a nod to the Manhattan downtown club scene and places like the Mudd Club – where Basquiat performed with his band. Manarat Al Saadiyat will serve as an alternative space for expression and creativity, with local DJs spinning early rap, punk and no wave mixed with contemporary underground music.